Full Color Back Drop Banner Printing| Trade Show Back Drop Banner Printing at affordable prices| Repeat Step Banner Stand Display for Cheap! Backdrops are printed with a broad selection of colors, patterns and styles with company logos and various other digital markings. Therefore, we offer our customers with high quality large format digital prints, such as Event Banners for various events, that give off that air of glamour. Our 8x8 step and repeat red carpet backdrops and 8x10 event photography backdrops are available, all at a reasonable price. All our Canvas backdrops and other custom backdrops are printed in-house and can be made in your own customizable sizes. 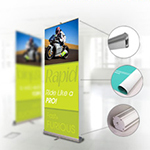 Check out the custom made retractable banner stands which are great for trade shows and exhibitions! We offer full color printing on the Backdrop Banner, all done in-house at our New York printing facilities. Find the best and the perfect custom backdrop for your event at Printing Xpert. Our backdrops are all made from excellent, high quality materials and are also water resistant. You have the option to use our UV-cured inks for outdoor use, which can also extend the life on the product. Our full color counter top display printing are available in any custom size that you need. The Backdrop Banners are also scratch-resistant and can be printed on clear, gloss or matted vinyl. Backdrops Banner can come with grommets with a variety of placement options, or top and bottom pole pockets for reinforcing and stablizing the canvas; these finishings do not affect your live image. We also provide 8x6 Step and Repeat trade show backdrop process on the canvas to show off your company logo at a large event. We can print up to 8ft x 15ft for your events and trade shows. Digital Print Backdrops are very effective and can be used for Large Format Studio Phototgraphy Backdrops, Event Photography Backdrops, or TV Film and Theater Set Backdrops. A great looking custom banner attracts media attention and gives a great opportunity to attract new guests or clients by advertising your event name, brand openings or by posting the guest celebrity appearance. If you are looking for exceptional quality combined with the best value for the step and repeats, you are in the right place. Our 8x8 Step and Repeat Media Backdrops- Banner and Stand have a non-reflective matte finishing, preventing light from passing through them making this vinyl the ideal material for flashing lights from cameras and studio lighting. This will help you take your advertising campaign to the next level. 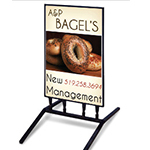 The vinyl 13oz ultra flex material is durable, long lasting for backdrop banner display stand. The printing will be in in full color. The top pole pocket is ideal for Backdrop Banner stands. Top Backdrop Banner would require a dowel with end caps that allow for hooks or strings for hanging. Pole pockets will be inserted on left & right of the Backdrop. Pockets will be added to the left and right sides of your Backdrop banner, allows you to mount your Backdrop Banner with poles secured from one or both sides. Backdrops Banners can be important tool for advertising your business at special events. They are perfect for capturing the viewer's attention. 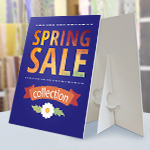 These products are printed in high quality at a very reasonable price. If you are having an Awards Show or any form of Press Conference, these Backdrops Banners are perfect for communicating your event in photos. Viewers will be amazed by the quality and material used to present your company. In the photography industry where presentation is everything, these Backdrops Banners are the perfect product to help represent your company. Custom Backdrop Banner Stands can be perfect for Award Ceremonies. They can provide a station for guest to take photos, videos and brief interviews. These backdrops are perfect for promotion as well and can be great for presentation. Simply place your Backdrop Stand either indoors or outdoors and you have a great spot for photo ops. These photographs will eventually be used in magazines, websites, newspapers, books, etc and will be perfect for promotion. Enter online printing, where you can take advantage of the same professional 4-color products you have already been ordering for years, but with the added reinforcement of Eco-friendly ingredients. 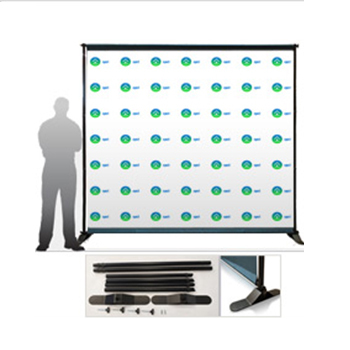 There are a whole lot of benefits to actively pursuing a Backdrop Banner printer with the business sense to go green. For starters, both parties (you and the printer) get a renewed sense of helping the environment when it comes to reducing pollution and other harmful emissions that the ozone layer could always do without, not to mention the lungs of everybody living within the city limits. I ordered backdrops for my tradeshow event last week. I got them and was very pleased to know that they came out really well. Thank you for your services we shall get more printing jobs done by you. I recommend printing xpert for back drops. the printing as well as the banner stands were of good quality. We are behind the quality of the products. If there is an issue with the quality of the products, please contact Customer service within 14 days of receipt of your order and if your order is deemed unacceptable to our high standards, we will reprint your order at no cost to you. Please note that Printing Xpert cannot be responsible for design errors, spelling or image selections that are a result of the design process. Printing Xpert may request that you ship any deficient product back to us at your own expense. We only accept credit card transactions under VISA, MasterCard, Discover and American Express. What type of finishing does this backdrop come with? This backdrop banner comes with a top pole pocket and it comes with pole pockets on the left & right of the backdrop. -- 96" -- 96" 108" 120"
Our custom vinyl sign banners are made from strong and durable vinyl. The banners can stand up to the elements when used as outdoor banners, and look excellent as indoor banners. Fabric banners are perfect for application where you need lighter weight material, a non-reflective surface, or higher-end art reproduction work. We can print directly onto a number of different fabrics of your need. The One side printing option is recommended for indoor/outdoor sign materials which includes full color on one side and other side blank. Free Online PDF Proof: You can view an online FREE PDF proof that will allow you to double-check the Artwork, Text, Image Resolution, Color, Spellings and Fonts. Print As Is: The files you uploaded will be printed as they are without any changes. This is the estimated time your project will be complete after you have approved your proof. Turnaround includes printing and finishing, BUT NOT shipping time. Production turnaround begins the following business day for all jobs sent to press by the deadline.